Bottom Line: A super tasty ready-to-drink coffee cocktail that will be great for outdoor imbibing; balanced, creamy and delicious. 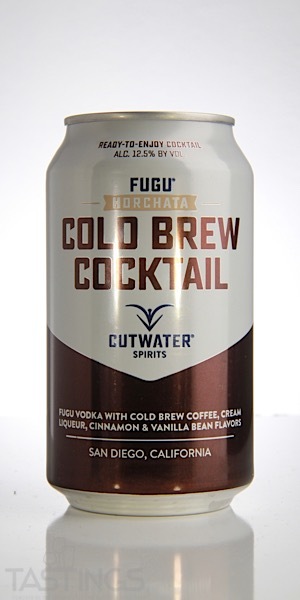 Cutwater Fugu Vodka Horchata Cold Brew RTD Cocktail rating was calculated by tastings.com to be 92 points out of 100 on 11/28/2018. Please note that MSRP may have changed since the date of our review.